Stock option trading is by far the most popular of the suite of underlying financial instruments from which derivatives are traded. You can also trade options on commodities and foreign exchange rates, even options on futures ... but company stocks listed on the major world exchanges are usually the first port of call for aspiring options traders. When we say "stocks" we include stock indexes and exchange traded funds such as the SPY (based on the S&P500) or the QQQQ (mimics the Nasdaq Top 100) in the mix. Search the internet for options trading courses and you'll find the vast majority are focussed on the stock market. In this section of our website we plan to explore option trading as it particularly relates to the stock market. Many of the option trading strategies outlined in other parts of the site are clearly about stock option trading, but the principles in the main can be applied to commoditity futures options and forex options trading as well. But here, you will find education and commentaries which may include examples of specific stocks and how they can be traded. Stock market option trading is not the only securities market where options are traded but it is by far the most popular. Learning how to trade well is the most profitable skill you can ever master. Did you know that if you're thinking of owning shares, you could be using options to buy stocks so much cheaper than if you just went to your broker and simply bought them at market price? Bottom fishing stocks is a term that describes a stock purchasing strategy which focuses on shares in a company whose stock has taken a large and decisive price dive accompanied by notably increased volume. Using options, you can buy these stocks at an even further discount. This debit spread example shows how that, there may be times when the price of the underlying financial instrument goes against you, but you can still make a nice profit on your investment anyway. Dow Jones 30 stocks option trading is about trading each of the individual stocks that make up the famous Dow Jones Industrial Average, not about trading the DJI index itself. 7. How Do Stock Options Work? Stock option day trading is about opening and closing options positions within the same trading session on any given day. Successful stock option day trading means following a proven system. Stock option trading information is plentiful on the internet but not all of it will help you make consistent profits. Learning how to trade stock options could be one of the best decisions of your life. Or it could be a disaster. How that turns out for you will depend on a number of factors. What is a stock option and how to consistently make a solid monthly return using low risk, low maintenance option spreads and the ability to adjust your positions when necessary. For online stock option trading enthusiasts, the internet has changed the way we do business. 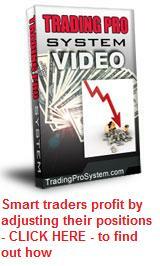 It has allowed thousands to analyze and trade the markets from the comfort of their homes. Those who make a living selling stock options believe that it is probably the closest an investor will ever get to the "holy grail" of investments. Why do they believe this? Daily Stock Market Options Trading, when understood and applied with discipline, is without doubt, one of the most secure and profitable enterprises anyone can embark on. The US stock options market, together with the advanced option strategies it allows, provides the ideal match that can give educated traders the right to potentially choose their own rewards. Stock options implied volatility is one of those terms you so often hear, but understanding its significance can be critical to a successful trading outcome. The exercise of stock options is the right a holder of the contract has, to enforce the contract. This involves delivery of the underlying asset such as company stocks. Here are the two best and safest stock option trading programs that both educate and provide strategies that actually work.